Grammys 2013 - Shortlist - Pop Vocal Album - Pop! Bang! Boom! This category is a mystery to me. Who wins? No one (in my mind) seems to be the frontrunner. With every other category I have had trouble picking who will win because there are a couple that could have a fighting chance, but for this? I really don’t know that I could pick who here had the “best” album. Someone like Rihanna or Pink might get this, as none of their albums have ever been honored, and Grammy voters might take this as a chance to say “it’s time”. 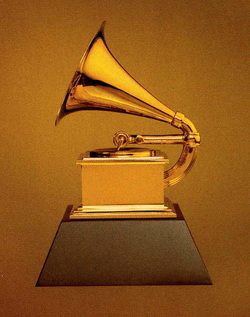 Or, the award might go to a newcomer – someone like Carly Rae Jepsen, One Direction, or Lana Del Rey. In all honesty, we all know that these names are going to be around for very long, and the Grammy people know this better than we do. This year might be their big chance, so it’s now or never. If they opt to give one of the big awards to someone other than Carly (fun. or Gotye, for example), then this might be a nice consolation prize. If 1D doesn’t grab the Best New Artist (which they probably won’t) and if Lana somehow loses it (which she might), then they are in the same position. Having said that, their albums aren’t really up to Grammy-winning par, so they most likely won’t. Mraz and Jones are more “artistic” than some of the other choices (One Direction, ahem), but neither of their albums really did much, so I wouldn’t put much stock into them. I might, however, seriously consider Florence + the Machine or the Biebs. Both of them are certainly going to get shut out of the big awards (Florence might grab a nomination or two, if she’s lucky, but she certainly won’t win), and this is a way to get them in there. On top of that, both names were on the ballot for Best New Artist a few years ago, but lost to Esperanza Spalding (DON’T EVEN GET ME STARTED). Many think that both of them were robbed, and I agree. Neither one has a Grammy, but both should, so 2013 could be their year. So, who wins? I honestly don’t know. I’m going to wait to see who actually grabs the nomination. Then we can discuss I further detail.